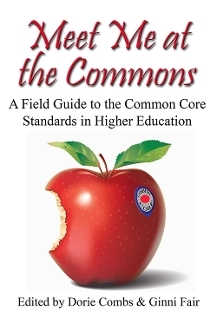 Here is a book that will describe the connection of the Common Core Standards to higher education teaching and learning and offer a process through which higher education faculty can use these standards (or their own state standards) to improve instruction and learning at their institution. We expect the readers will be members of Faculty Learning Communities and study groups, academic administrators and department chairs, or even individual college-level faculty who want to ensure their programs are standards based and value collaboration with the P-12 schools. Dorie Combs, Ph.D. (University of Kentucky), is a professor and chair of the Department of Curriculum and Instruction at Eastern Kentucky University, where she teaches undergraduate and graduate courses in curriculum and literacy. She served on the Kentucky Board of Education for 8 years and participated in several national study groups related to school improvements, education policy, and college/career readiness. In addition to her scholarship in literacy and middle school curriculum, Dorie has made several presentations and collaborated on publications related to implementation of the Common Core Standards. Ginni C. Fair, Ed.D. (University of Kentucky), is an associate professor in the Department of Curriculum and Instruction at Eastern Kentucky University, where she teaches courses in literacy development and instruction. She has presented regionally and nationally, for K-12 and higher education audiences, on the impact of professional learning communities on faculty development, curriculum alignment, and student success. Ginni also served in a Kentucky Leadership Network, which assisted Kentucky’s K-12 teachers with the implementation of Common Core standards.